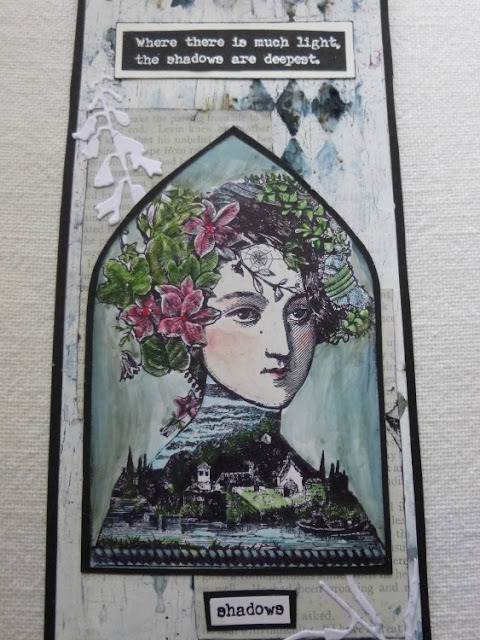 It is always a pleasure to add a new designer into the PaperArtsy family, and on this occasion, she is no stranger to our family! 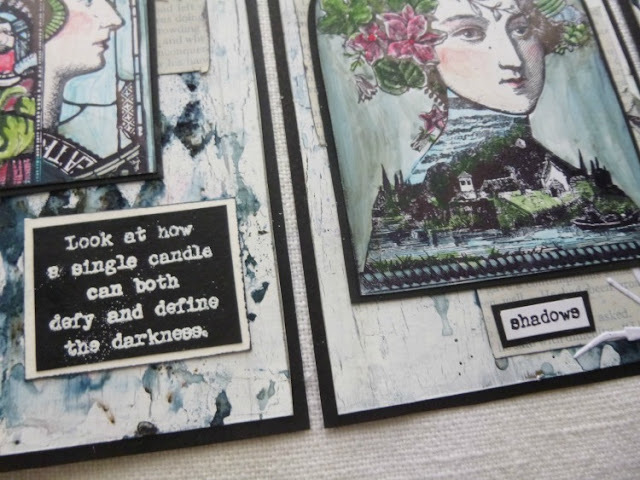 A long-time supporter and blogger for us, Alison Bomber is well known for her elegant way with words, so it naturally follows that beautiful, wordy-stamps are what she wanted to offer you. Literature, prose, drama, interpreting words of days' past, and the accurate portrayal of them today, is a big part of Alison's day-job, and her passion. When Alison blogs for us, not only am I excited to see what she makes, but I am eager to read every word of what she has written. These words selected by Alison are designed to be used in conjunction with all other stamp collections and genres under the PaperArtsy umbrella. I am sure you will agree, the themes are both practical and inspirational, I'll hand you over to Alison to explain more. Hello all, and welcome to a post that I'm almost too excited to write! I'm still in a slight state of disbelief, but here it is... the release of my own stamp sets at PaperArtsy under the Eclectica³ banner. For those of you familiar with my blog, it will come as no surprise that they're all about the words. Words have always inspired me - they're a huge part of my life, at work and at play. I love it when I read something so beautifully phrased that it lights up a whole new idea for me; or perhaps the quote speaks about something very familiar but in a completely fresh way. Regulars at 'Words and Pictures' (my blog) know that I take great delight in finding words to accompany each post that I write - words from thinkers, writers and creatives from across the centuries. I can't tell you how happy I am that, thanks to Leandra and Mark, I can now stamp some of those quotes on any project I like. 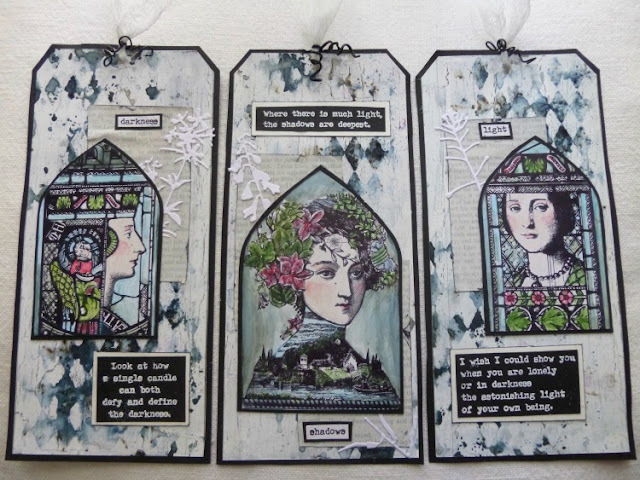 Each plate contains a series of quotes collected around certain themes. The two sets available now are EAB01 Trees and Flowers and EAB02 Darkness and Light. Over the next couple of nights, you'll see them in the hands of two fabulous crafters but, for now, let me share just a few of the things I've been doing with them. I got carried away so there are several things to share. There's a set of ATCs, a trio of jumbo tags, and a "journalling page" (it's just not actually inside a journal). I wanted a simple look for the words - so that they can speak for themselves, and so that they are flexible enough to combine with different crafting styles. So they're in a vintage typewriter font, and you can use them whole, or cut them up to spread them across a page, or just use a line or two if you want. 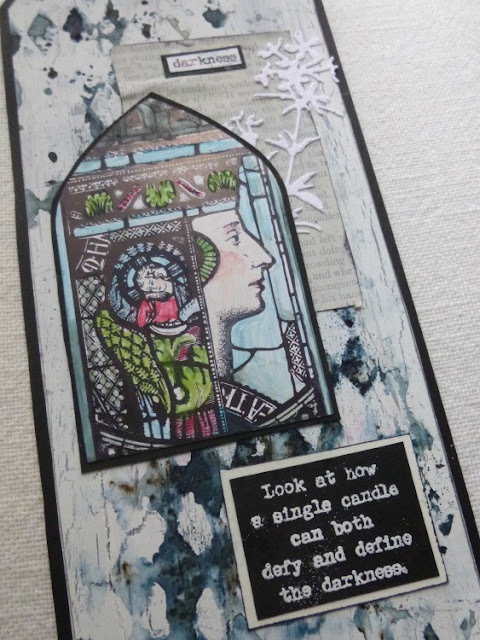 There are so many images among the PaperArtsy stamp collections, and in so many different styles. It makes combining words and pictures great fun. Sometimes I would start with a picture stamp, and see which words might work with it. But more often, I would read the quote, and then think, "Oh, I know... I need the stamp from that Hot Picks set... or that Lynne Perrella stamp... or a profusion of JOFY flowers". I haven't managed to make that last one yet, because I'm away from home, so I haven't got all my stamps with me! One of the things I already love is that these quotes have made me re-ink and re-think stamps I've already got. It's been so lovely using the words with different images and seeing the image take on a new meaning. 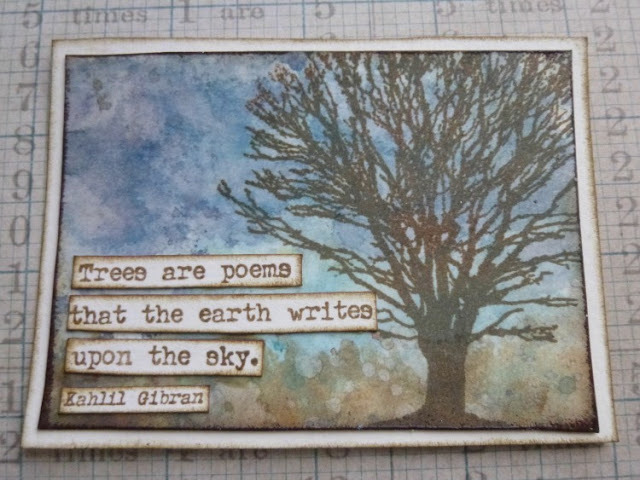 The Gibran quote above is on EAB01 Trees and Flowers and the tree is from the Urban Snapshots Nature Plate 1. 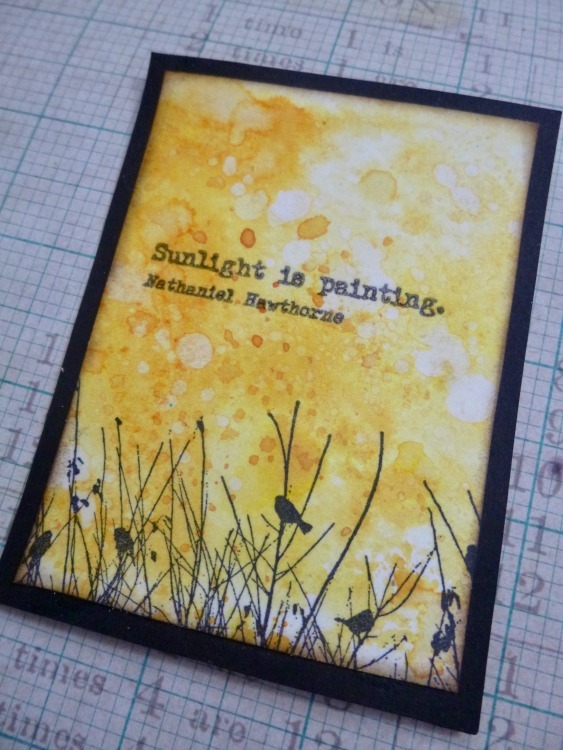 These samples are all fairly straightforward - inky backgrounds with simple stamping over the top. 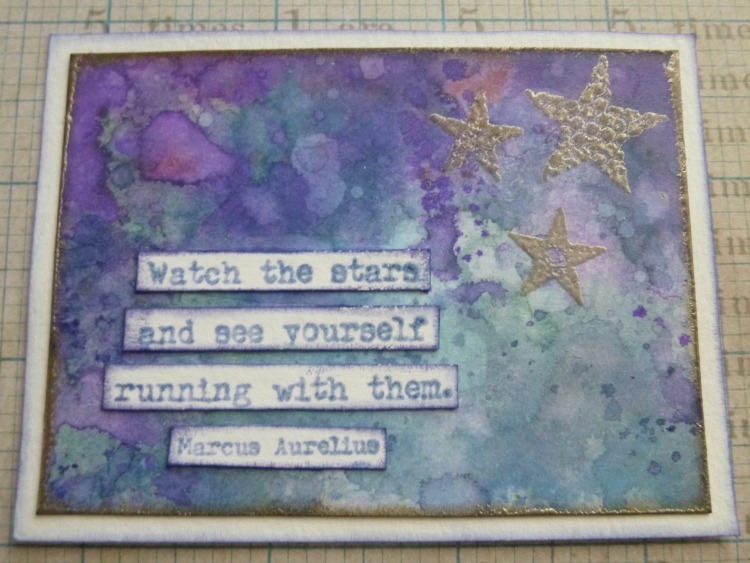 Below, you can see the tiny stars from ELB30 paired with the starlit quote from EAB02 Darkness and Light - though I've only used part of the quote. 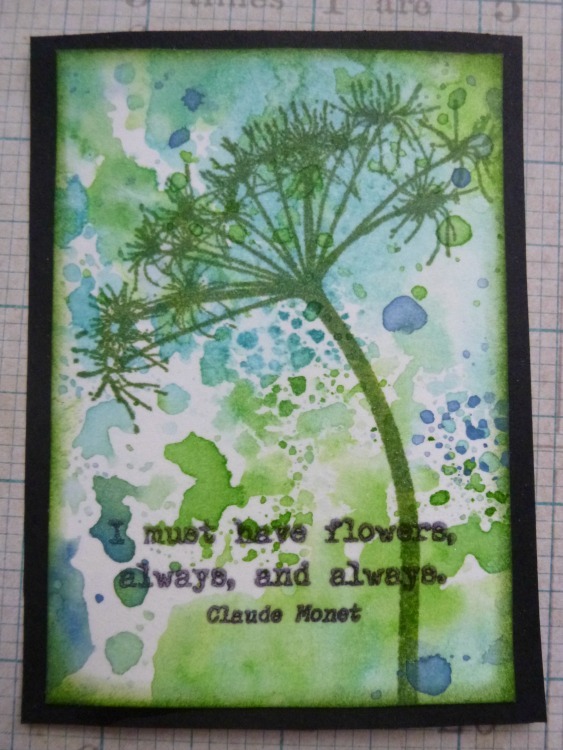 Sometimes I stamped the quote direct onto the project, often with clear embossing to make it pop. 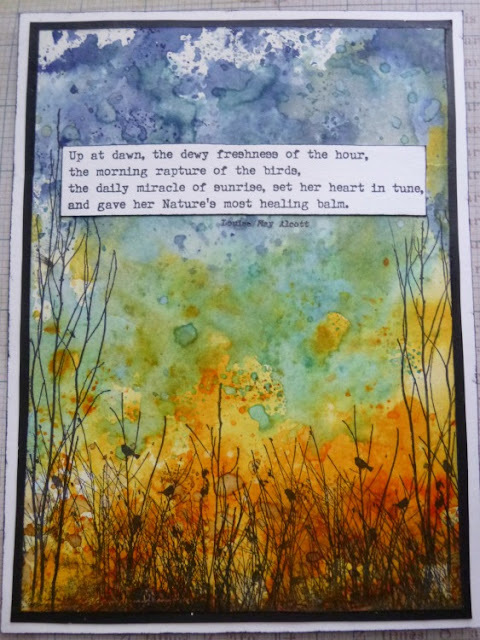 I've always adored these birds from Hot Pick 1005, and the dappled sunlight of the Distress Inks seems to me to work perfectly for these Nathaniel Hawthorne words from EAB02 Darkness and Light. Sometimes I stamped the words on a separate piece of paper and added them that way, and sometimes I combined the two. 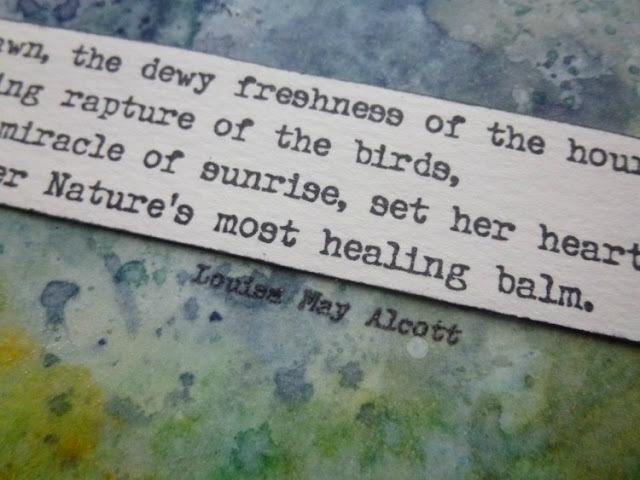 You could use any one of the phrases from this long quote by Louisa May Alcott by itself, I think. I wanted the whole thing for my dawn page using HP1005 again, with added branches from HP1008. Given how often I seem to end up with Nature as my theme, the Trees and Flowers quotes of EAB01 are going to be much used. Just think of all the flower stamps there are to go with this Monet quote besides the HP1005 one I've used here. ... and I think the white on black is a dramatic reflection of the themes of EAB02 Darkness and Light captured in the words. You can pick out individual words or phrases. And of course you can stamp either with or without the author of the quote, depending on your project. By the way, they're also great as prompts in a journal... I've been adding them to the pages of my Traveller's Notebook, alongside simple stamping (including the fabulous new Scrapcosy tangled branches and ESC03 botanical flower, as well as Lin's glorious ELB30 and ELB33 grasses), ready to provide inspiration when I'm writing. I hope that's given you some starter ideas of just some of the ways you might use these quote stamps. I think you can probably tell how excited I am to have so many lovely words to play with, and I hope you'll find them as inspirational as I do. I can't wait for you to see the artwork my brilliant collaborators will be offering up over the next couple of nights... my thanks to them for creating such lovely projects. Thanks also to all of you for stopping by, and huge thanks to Leandra and Mark for making these words come to life. New Products will not be available to purchase from PaperArtsy until late 2017. This means the only place you can purchase is from an official PaperArtsy approved stockist. I am in raptures.. what fabulous quotes, and such stunning samples. Going shopping again!! Congratulations Alison, what a triumph. What a great addition to the PA family...I can see me using these loads! Great projects, love the font and the quotes, fab for so many projects and creations. I absolutely adore them, wonderful quotes and love that they have references on them! 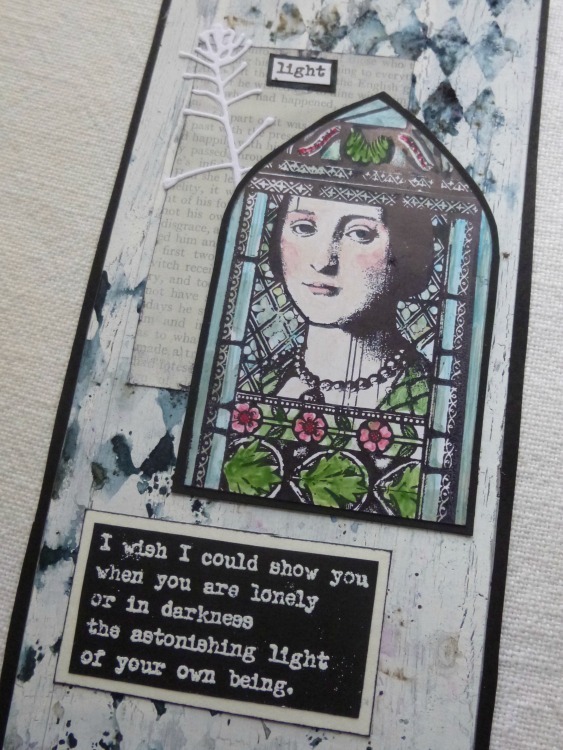 This are all fabulous quotes, and such stunning samples - wonderful! I love all of these quotes, the font is perfect & the samples are stunning. Congratulations, Alison, on being a PA designer. Absolutely wonderful and so inspiring, they could be journal prompts. I love them all and your projects are stunning! Just ordered mine. A perfect addition to a growing family of wonderful stamps. This quote from Helen Keller sprang to mind. " Once I knew only darkness and stillness....my life was without past or future....but a little word from the fingers of another fell into my hand that clutched at emptiness, and my heart leaped to the rapture of living! All I will say is......That's the coffers empty again! I would love reading Allison's own blog posts just for the quotes she always includes at the end of each one as well as her stunning artwork. I'm so happy to see these in stamp form. The most beautiful quotes Alison, so uplifting and full of serenity too. The array of artwork with them is absolutely stunning and so inspirational to see how the right words lift a background. Gorgeous art and wonderful quotes. I can see so many uses for these stamps. So excited to see these wonderful word stamps. My favorite things. BIG congrats Alison!! Wonderful quotes and great samples!! Super themes too, you go my friend!!! Wonderful word stamps to go with beautiful backgrounds and stamping. I love your samples. Wonderful quotes and stamps, no hesitation for me I MUST have them, I will order them as soon as available easily for me... Through French retailer Kerudoc I hope. The samples are all magnificent, some perfect precious cases for your quotes, so beautiful in their simplicity. Love love love the quotes! Congrats Allison! Thank you all for the amazing response. I'm thrilled that so many of you are as excited as I am by these word stamps! Huge congratulations to you Alison! What a lovely collection of words that I can see being used on so many projects. You've given us me so much inspiration here with all your beautiful works of art--they do pair so perfectly with these Paper Artsty collections. You are a star, Alison, and I'm thrilled for you! I can't wait to get my hands on these! Fabulous post, as always! 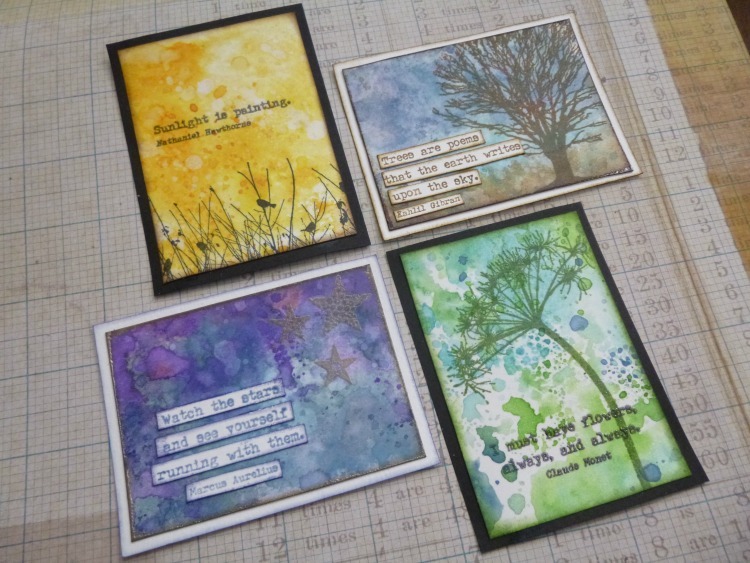 Congratulations Alison, a fabulous collection of quotes and you have showcased them perfectly with wonderful samples. Congratulations on your stamps Alison ! They are fab and now on my wishllst ! These are gorgeous! Thank you for sharing. I love the colouring in the harlequin patterns against the stark white. 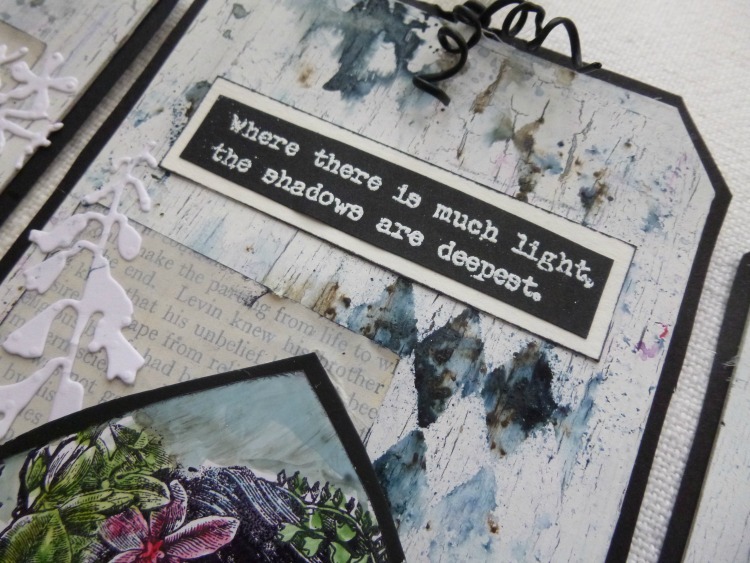 I love collecting quotes and these stamps are wonderful and versatile.